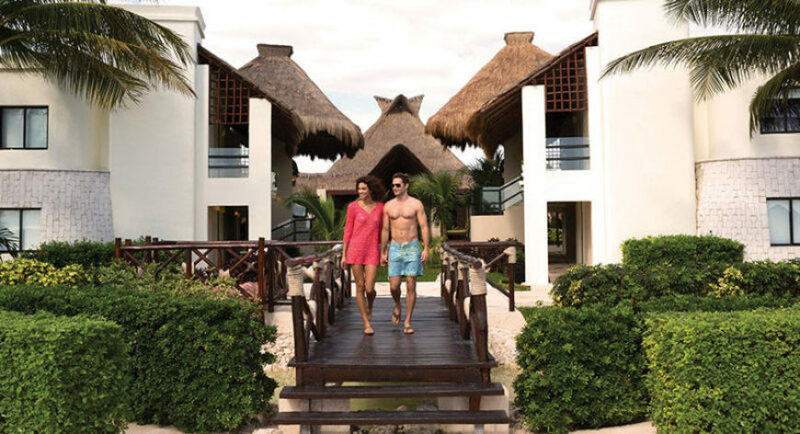 Guests at the Azul Beach Resort Riviera Maya, by Karisma, Mexico’s premier boutique hotel, will experience our signature Karisma Gourmet Inclusive® Experience designed to foster togetherness. 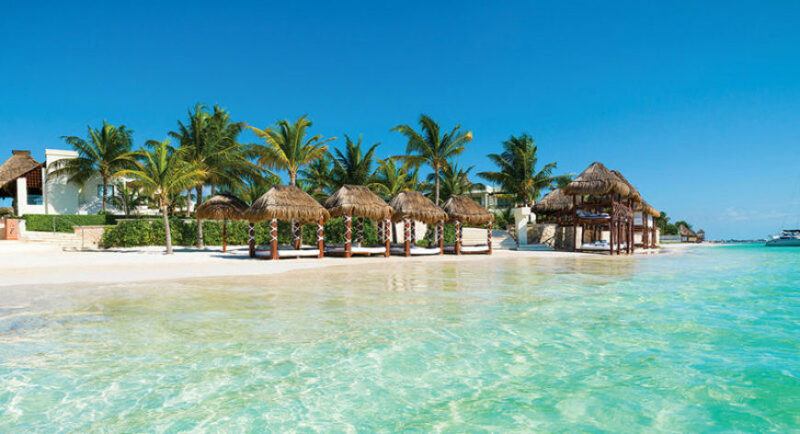 Guests will also enjoy full Personal Concierge and Beach Butler services, and the convenience of all suites being only steps away from the white sandy beach of Bahia Petempich. 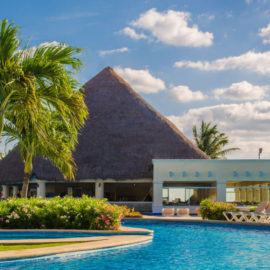 Located on a gorgeous beach 20 minutes from Cancun International Airport. The 148 rooms and suites at the Azul Beach Hotel were designed in a stylish contemporary Caribbean décor and are available in Deluxe, Azul Suite, Jacuzzi Junior Suite, Jacuzzi Swim up Junior Suite, Jacuzzi Ocean Front Junior Suite, Jacuzzi Ocean Front Junior Swim up Suite, Family Suite, Family Swim up Suite, Honeymoon Suite, Wedding Suite and Wedding Swim up Suite categories. All rooms are designed with features to satisfy the discerning traveler and they are located just a few steps away from the beach. Every room is equipped with an air conditioning system, a king-sized bed or two queen-sized Beds, satellite TV, shower, hair dryer, safe deposit box, daily restocked mini bar, coffee maker, iPod docking station, DVD player, direct dialing telephone, wireless internet access and balcony or veranda with spectacular views of either our beautiful gardens or the Caribbean Sea. 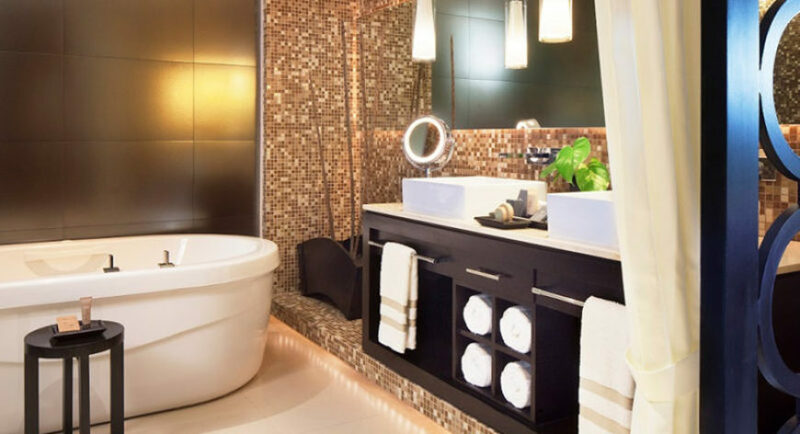 Our recently refurbished oversized Suites feature Jacuzzi for two and can also come in a swim up or connecting version. All rooms are non–smoking, except the area of balconies and terraces. 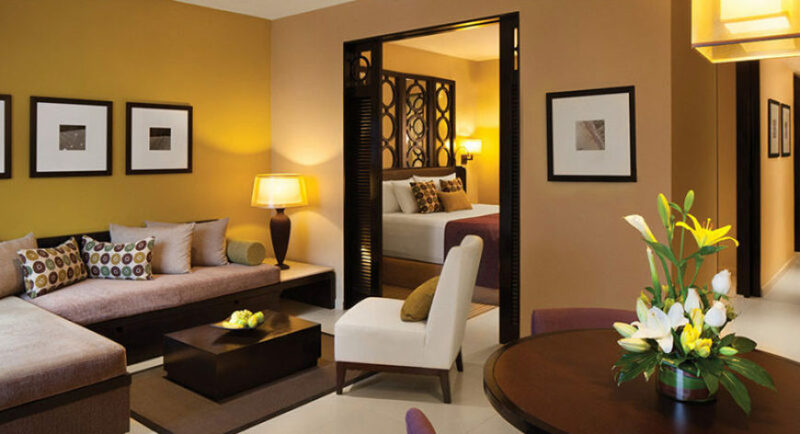 Our variety of rooms and suites vary from Deluxe rooms to spacious Presidential Suites. Deluxe rooms are available with one king-size or two double beds and can have a view of the beautiful garden or the Caribbean Sea. Spacious, recently renovated suite with 2 queen-sized beds, designed in a contemporary Caribbean style with dark wood decoration. This recently refurbished spacious suite designed in a contemporary Caribbean style with dark wood decoration features 2 queen-sized beds and the guests can directly dive into the pool from the terrace. Large, recently renovated suite with either 2 queens or 1 king bed, designed in a contemporary Caribbean style complemented by the tones of dark wood decoration. Large, recently refurbished suite with either 2 queens or 1 king bed, designed in a contemporary Caribbean style with dark wood decoration, direct pool access from the terrace and just steps away from our beautiful sandy beach. Oversized suite offers comfort to families with its private area that features king size bed and a living area separated by sliding door with a sofa bed designed to accommodate 3 children under the age of 12. Oversized suite specially designed for families with a private king size bed area, a living area separated by sliding door, and features sofa bed designed to accommodate 3 children under the age of 12. The suite has direct pool access from the terrace. Large, recently renovated suite designed in a contemporary Caribbean style with dark wood decoration, 1 king-sized bed, separate living area and sofa bed. Designed especially for brides, with one king-sized bed Wedding Suites include a private vanity area with make-up station, lounge chair and sitting area. Brides can unwind before the big day in their in-suite Jacuzzi. This room category features a mannequin for the bride’s dress. Designed especially for brides, with one King sized bed. The Wedding Suites include a private vanity area with makeup Station, lounge chair and sitting area. Brides can unwind before the big day in their in-suite Jacuzzi or take a dip in the relax pool just a step off the oversized terrace of the Wedding Swim up Suite. This room category features a mannequin for the brides dress. Oversized suite designed in a Caribbean style, with a canopy king-sized bed, in-suite Jacuzzi, spacious lounge bed, sitting area and a terrace. Large, recently renovated suite designed in a contemporary Caribbean style with dark wood decoration, 2 queen beds or 1 king bed, liquor dispenser and modern living area and luxury bathroom area, equipped with flat screen TV. This recently renovated spacious suite designed in a contemporary Caribbean style with dark wood decor, 2 queen beds or 1 king bed, liquor dispenser, modern living area, luxury bathroom area, equipped with flat screen TV, has a direct pool access from the terrace. Recently refurbished vast suite designed in a contemporary Caribbean style with dark wood decoration, 1 king bed, separate living area and sofa bed. Spacious suite designed in a contemporary Caribbean style with dark wood decoration, 1 king bed, separate living area, sofa bed features a direct pool access from the terrace. Azul Beach Hotel Gourmet Inclusive® Experience Restaurants and Bars combine a selection of mouthwatering à la carte menus and exotic drinks in hip, extraordinary settings. The finest international cuisine and all premium drinks will appeal to the more sophisticated side of your palate. Even our youngest travelers will be excited about the variety of food options offered at all restaurants. To ensure total comfort and maximum flexibility no reservations are required, although recommended for big groups of 10 or more. All the restaurants offer Gerber baby food for the youngest guests. Serves breakfast, lunch and dinner in a relaxed and friendly atmosphere. Guests can enjoy Mexican and international dishes all prepared by our expert chef. At Blue, guests will be delighted with our “food for all and all for food” concept; meaning family-style lunches including soups, pasta, salads, gourmet sandwiches. Blue also features a fine international selection of cheese, desserts, coffee and digestives. Tainan is the name of the ancient capital of Taiwan, renowned for its splendid food, taste and exotic creativity. The highlight of Tainan is the sushi river bar, offering freshly made sushi and sashimi. The food of Tainan offers to guests the opportunity to satisfy the palate with spectacular Asian-inspired cuisine that is served in generous portions. Among the dishes that are known far and wide are sashimi, Pacific Rim, Wok specialties and sushi river bar and succulent main courses prepared using the finest authentic ingredients. Open granite kitchen offering world renowned Northern Italian dishes prepared on the spot by our international trained Chefs that turn each meal into a culinary experience itself. Roma is marked by having friendly family service and celebrated wines in an elegant ambiance, with food prepared from the freshest ingredients and full of genuine Italian flavors served in generous portions. This bistro is a vibrant celebration of food, energy and music, culinary preparations from the Southern tip of the Americas up to the Northern part of Mexico. Refreshing and unpretentious, Latino is the perfect place for family celebration with enticing meals including an impressive kids menu. The perfect spot for relaxation, designed in a Mexican – Caribbean style with breathtaking views of the Caribbean Sea. Chil offers an array of burgers, salads, wraps and tacos; also, and upon request guests can enjoy our Healthy options such as Caribbean fruit smoothies, yogurt shakes and whole wheat vegetarian wraps. During the week this restaurant host Nickelodeon themed breakfast. In this “spot on the corner” enjoy different types of paninis, savory creeps, sweet crepes or choose an ice-cream from SpongeBob’s amazing ice-cream factory and complement it with one of more than 20 types of toppings. Get a real taste of Mexico at this unique and spectacular Tequila lounge where modern designs are combined with classic furniture of the “Pancho Villa” era, including a replica of a 19th century “cantina”. The Agavero Tequila Lounge offers over 30 different tequilas including Añejo, Reposado and Blanco, served straight, frozen or mixed. Additionally guests can enjoy fabulous drinks while playing table games or simply listen to cool music while hanging out with friends. Unique to this bar is an unbelievable frozen bar top to keep drinks chilled at all times. Agavero also offers weekly tequila tastings and the expertise of its bartender. Exciting tropical drinks are prepared to your taste at this thatched-roof lounge and swim-up bar. At night, enjoy your favorite drink and lounging in one of our famous “hanging” beds with unforgettable views of the Caribbean Sea. Caribbean drinks are prepared with a wide selection of international spirits for you to enjoy beach front. 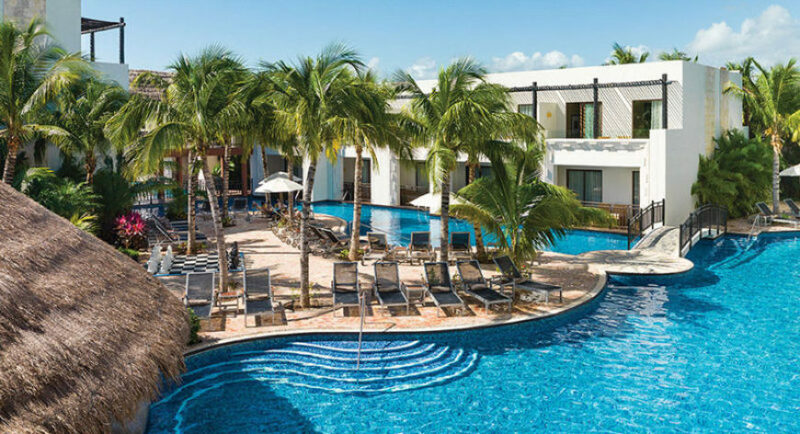 Caribbean alcoholic and non-alcoholic beverages are prepared with a wide selection of fruits and international spirits to enjoy near the relaxing pool. Providing guests with nightly entertainment, it is a perfect place to spend a relaxing evening while enjoying an exotic cocktail. The guests can enjoy a variety of live performances every night, MOOD is the perfect venue to enjoy ever lasting memories. The menu service including an array of dishes featuring children’s and grown-up’s all-time favorites. Popcorn service is available to enjoy with a movie. Supervised activities 9:00h to 17:00h and 19:30 to 21:00h. Children under 4 years old need to be accompanied by their parents.